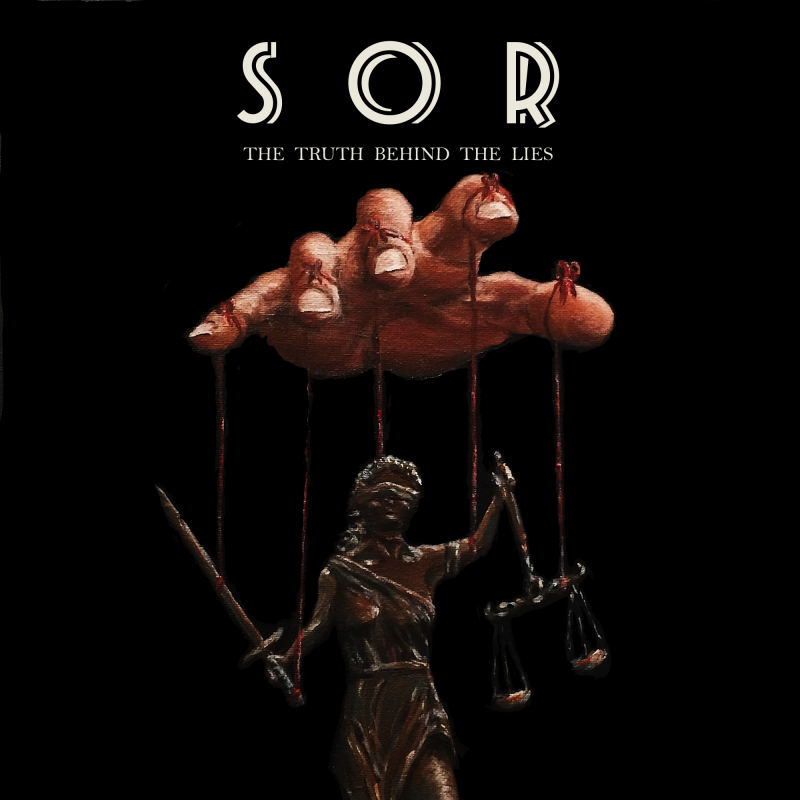 South Of Reality – The Truth Behind The Lies – Album Review | The Ark of Music – The best music in the world…you never knew existed. With the intention of creating more than just rock music, but rather, music with a message—with a purpose, the Dallas, TX-based three-piece indie southern/progressive-rock outfit known as, South Of Reality, want their music to open the eyes of their listeners, and to ultimately cause a socio-political stirring of sorts. Formed in 2008 as a cover band, the fellas got thirsty to express their unique, musical point of view, and soon began writing progressive rock originals. Consisting of John Walker (guitars, drums, backup vocals), Jeff McMullen (keys, drums, lead vocals), and Shane Wesberry (lead vocals), the ambitious southern trio all write together, allowing every voice to be heard. Previous efforts include their 2016 self-titled, debut album, South Of Reality, the precursor for this years’s release, The Truth Behind The Lies, a collection of songs which urge all of us to opt for the truth no matter what inconvenience may lie ahead. I love it when a band has the stones to include an instrumental piece (or two) on an album. (The constant chatter of pop music has made instrumentals into a lost art form.) Combining their classic, southern-rock sensibility with world tones and rhythms, Boko Haram (Child Bomber) is worthy of its spot as #3 on the album. Awake opens with thick layers of that laser-like synth, giving way to an appealingly minimalist melody, and a subtle—though effective—vocal scheme. The composition as a whole reminds me of a unique conglomerate of Eagles, Styx, and Alter Bridge. It’s super cool. Like Lynyrd Skynyrd meets 80’s Van Halen, stop what your doing right now and check out Stand Up in the player below. The intro alone is worth the listen, but be sure to stick around for the grimy solos at 3:00 and 4:12. Concluding with, Coming Home, the organ-drenched intro quickly transitions into a piano-based singer-songwriter ballad reminiscent of the work of one Michael McDonald. Though South Of Reality’s sophomore effort, The Truth Behind The Lies, is indeed thematically and lyrically a touch dark (in honor of our culture’s current socio-political predicament), it is that very darkness that adds meaty, meaningful substance, making the project not just a highly creative rock effort from a strictly instrumental perspective. With fine, veteran guitar and rhythm sections, in my humble opinion, it is actually & ultimately the keys (synth, organ & piano) that give this album its unique sonic identity. Song after song, it’s those layered, ambient synth tones that grabbed my ear and held me fixed until each song’s conclusion. All in all, the project is worth your time, particularly if your looking for a meaningful and engaging brand of rock music, stuffed with wildly interesting nuances from multiple genres and musical influences, including everything from 70’s style southern-rock, to 80’s style synth-rock, with a host of subtle, world influences mixed in-between. Give The Truth Behind The Lies some of your time in the player below. BELOW: Listen to South Of Reality’s album, The Truth Behind The Lies, and connect with their website and social media platforms. Please support South Of Reality by visiting them online, and playing, downloading, and/or purchasing their music. And, as always, thank you for supporting real music!